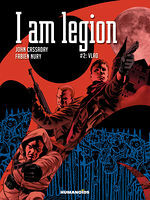 Cassaday imparts a sense of foreboding and sterility of emotion that keep the reader constantly turning the pages. John Cassaday does an exquisite job of capturing a range of emotions across all the characters faces. In each moment you feel their pain, sense their fear and experience their horror. 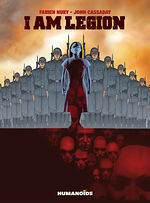 John Cassaday’s art captures the mood and tenseness of the era, with dark hues and grim-faced people, facing the killing of others and their own mortality with a tight-lipped determination. Once it starts going it just keeps building and building until it all comes apart as a beautiful mess at the end. And by the time you see what the book is really about, it’ll be too late. You’ll have to finish reading and maybe you’ll even curse my name for not telling you, but that’s the joy of reading comics. 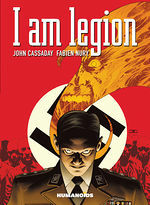 Word of caution: once you start reading I Am Legion you wont be able to put it down. 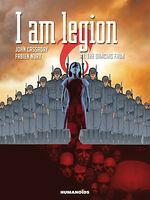 “I Am Legion” is a perfect book for the historical fiction buff that leans towards horror. It’s a dense book with lots to drink (heh) in and beautiful art that’ll make you look twice. 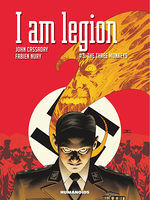 John Cassaday fans will find loads to love in I Am Legion and anyone looking for a great fusing of action, historical and horror genres will find much to enjoy.